Salmon is good for you! 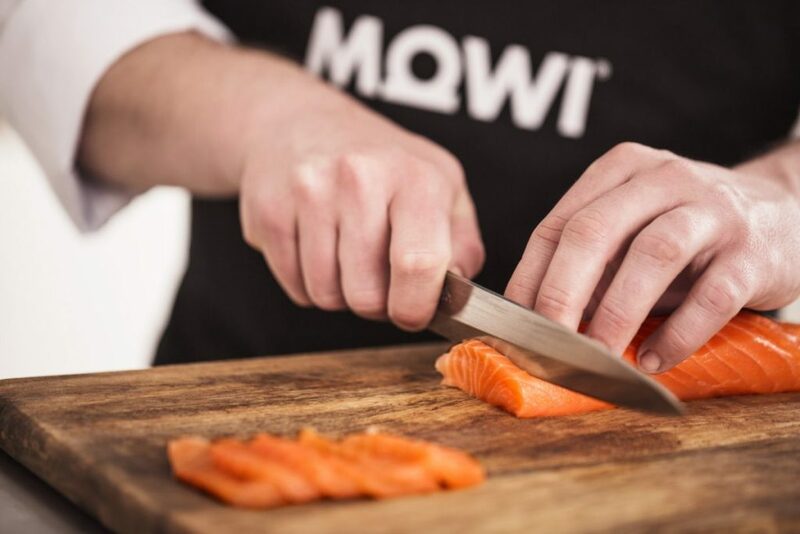 In fact, salmon is frequently referred to as something of a nutritional powerhouse, which puts our product in a category of its own. In recent times, over 30 percent of consumers have been reducing their consumption of meat, while increasing their consumption of fish. When you consider the nutritional profile of seafood, it is unsurprising that the benefits of fish are coming to the fore for informed and health-conscious consumers. Salmon delivers protein with far fewer calories than meat. A 100g portion of salmon contains 139 calories and 23g of protein. In comparison, a 100g portion of beef contains 210 calories and 20g of protein. The fact that salmon can provide this degree of nutrition, with approximately one tenth the carbon footprint of beef, is yet another reason to feel great about eating salmon. Health authorities around the world are increasingly recognising the relevance and importance of oily fish as a regular component of a healthy diet. Rich in omega 3 fatty acids (EPA and DHA), research shows that frequent consumption of salmon makes a great contribution to maintaining cardiovascular health. Salmon also has anti-inflammatory properties, which can help alleviate the symptoms of conditions like rheumatoid arthritis, while also lowering blood pressure and triglyceride levels. As delicious as it is healthful, salmon has a nutritional profile that few other products can lay claim to. It is also beneficial for our brains: growing evidence suggests that salmon consumption improves cognitive function at all stages, from foetal development thorough to old age. In addition to omega 3s, salmon is a rich source of choline, selenium, vitamins B6 and B12, as well as vitamins E and D. Salmon truly packs a potent nutritional punch with each delicious bite, which makes it a smart addition to your weekly menu.